Particles from a pharmaceutical formulation, Budesonide Nebulisation Suspension. A large crystal of the active substance, Budesonide, is surrounded by many small particles of the same substance. 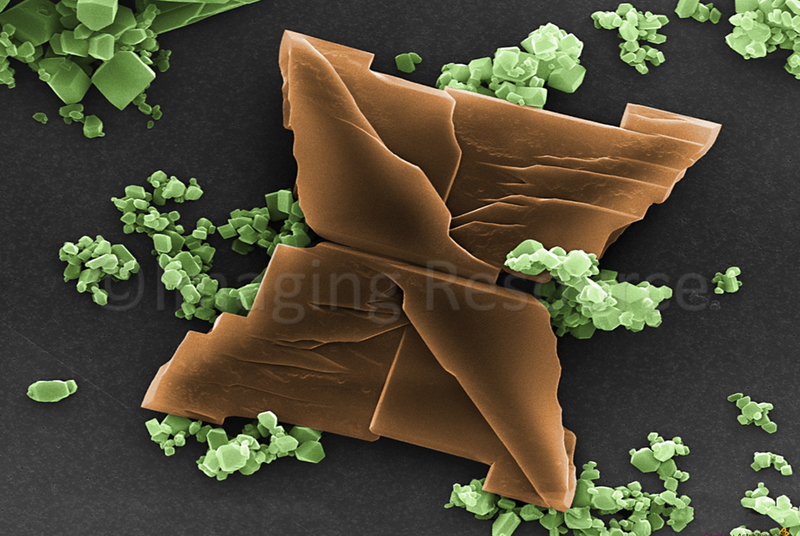 The with of the large crystal is approximately 100 µm.